We definitely like to decorate our homes for special occasions like festivals or parties. 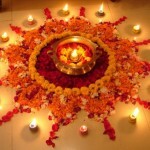 There are different ways to decorate but flowers and candles make the best decorative items as per trend. Candles of course is known to have a positive effect on the environment, as it releases positive energies and by eliminating negative energies. They have a soothing and calming effect on mind too. 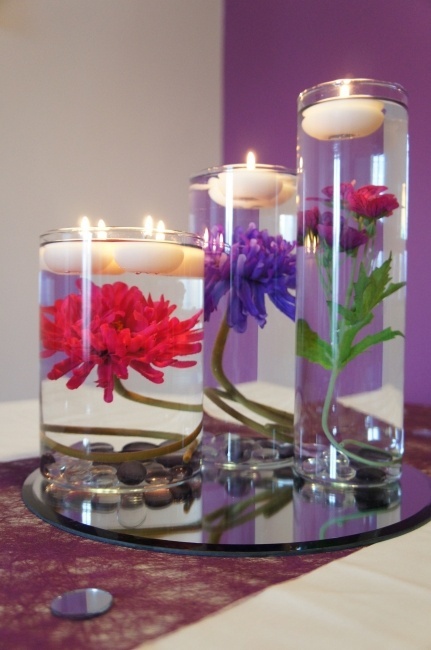 Likewise flowers in different colors and textures too look good when combined with candles. Both the things when clubbed together look very nice and a hint of mirror pieces makes them more attractive, and adds an additional charm to the entire setup. 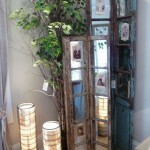 We can place a round or a square mirror element to go with candles and flowers, and give it an affect of a centerpiece. 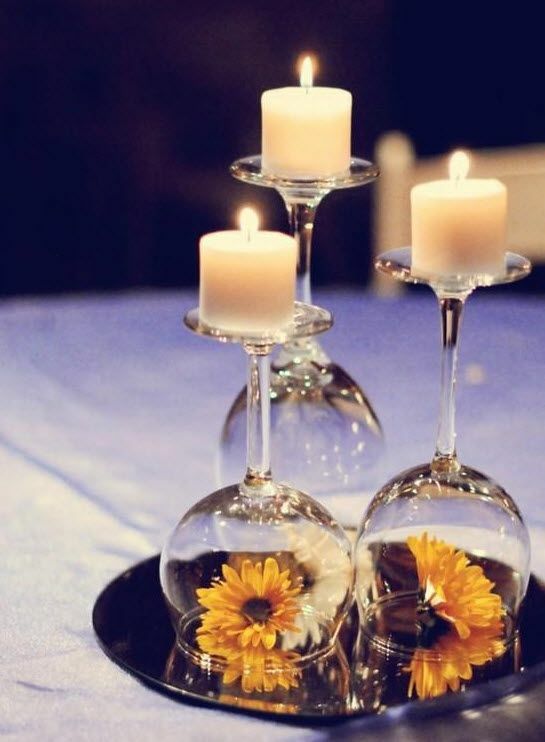 So next time whenever you have guests coming in for parties, try these simple combinations of mirror centerpieces to add a freshness and newness to your venue. 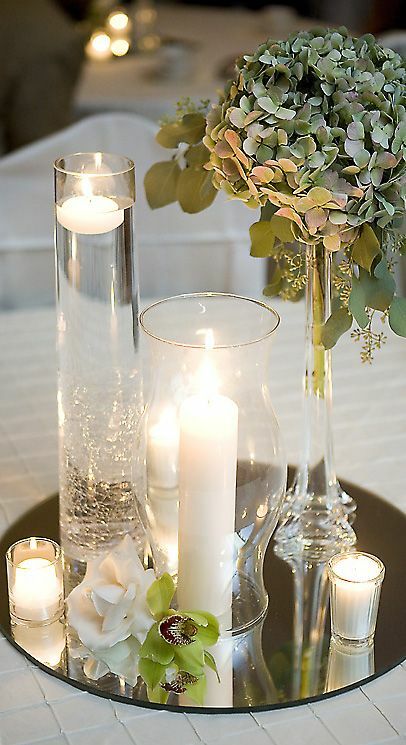 Long Cylindrical glasses with floating candles at the top, can be well combined with a simple candle stand. They can be further decorated with white flowers and green leaves. A pure majestical white look for a look of purity. Place your wine glasses upside down over a mirror base, and put a flower of your choice in each of them. 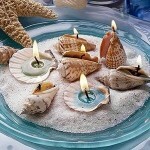 Now you can lit the candles which will make them look like a candle stand. 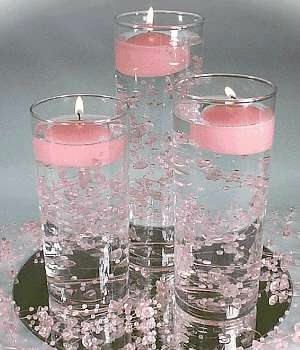 Long glasses with floating colored candles combined with semi precious stones, is a good option for monotone effect. 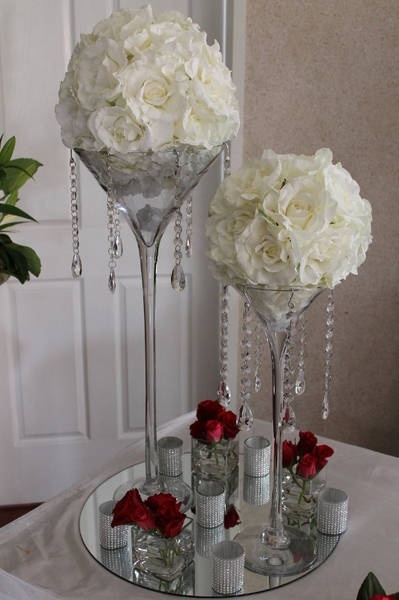 Tall Margarita glasses are combined with ball of flowers and little hangings at the sides. Small glasses in different sizes are placed over a mirror tray. Roses and other flowers can be added too. 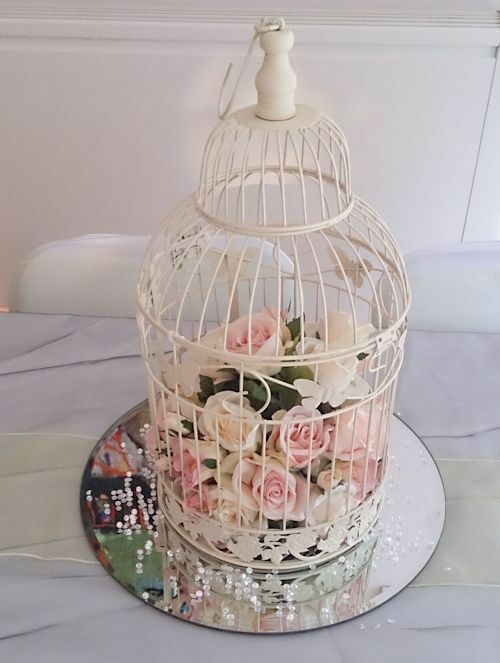 Using a cage full of flowers especially roses will definitely make your centerpieces look customized and attractive. 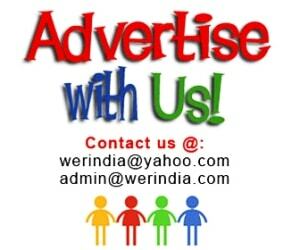 Its a head turner and has a vintage feel. 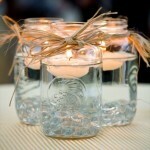 You can add crystal or small candles too. Place different flowers inside the glasses and fill them with water, you can also place few stones or pebbles at the bottom. Now just float the candles of your choice upon it.